Is the Cockpit haunted? Few pubs are more steeped in history. The Cockpit was built on the site of the gatehouse to the original Blackfriars monastery, one of the most important religious houses in Europe in its day. 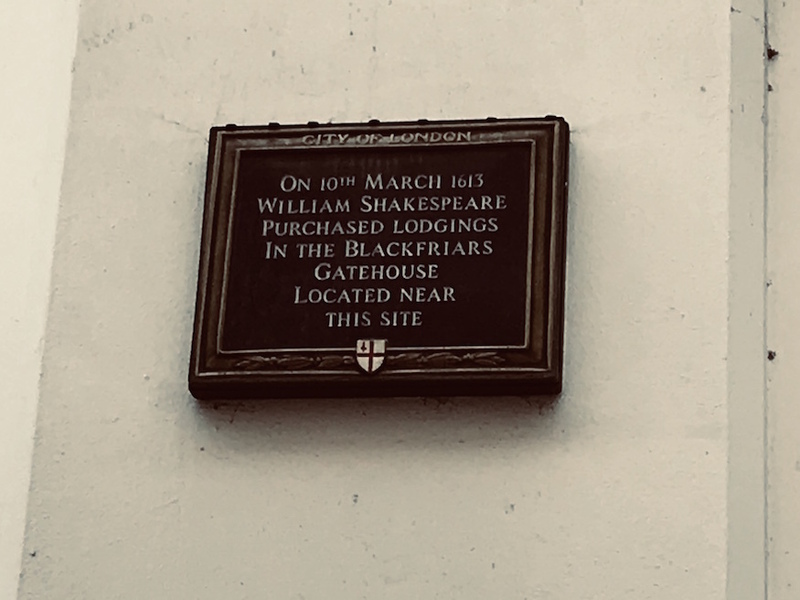 In 1613, William Shakespeare moved in, as a nearby plaque attests. With such rich history, we can fantasise about the calibre of ghost the Cockpit might entertain. Spectral monks, shadowy actors, quill pens floating about by themselves — or even a passing apparition of the bald-pated Bard himself. Surely if there’s any spectral justice in the world, a visit to the cellars of the Cockpit should resemble an afternoon spent with the Harry Potter CGI team. Who better to help us answer this important question than Zoe Saunders, the Cockpit’s charming manager, who throughout her life has experienced 'second sight': the apparent ability to tell if a place is really spooked, or just a bit creepy. She invites us down into her historic cellar, but first we must properly introduce Zoe and her psychic talents. Zoe's dalliance with the macabre started early, when she was just five. Her father, a van driver, was helping to renovate an ancient house in Chelsea. The workmen unearthed a chamber full of mouldering human remains. They tried to shield poor Zoe, but she still remembers going cold upon seeing skulls in wheelbarrows. The feeling has returned many times over the years. She describes returning to the home of her grandmother, who had died some years before: “I’m not a believer or anything like that. I don’t see spirits. But the top floor of that house made the hairs stand up on the back of my neck. I was fine in the living room and kitchen, but not where her bedroom was. I got really cold, and I knew it was her. That’s what spirit feels like to me”. Has she also encountered the feeling in the pubs she's managed? Zoe entered the pub trade in East Street Market, Walworth. 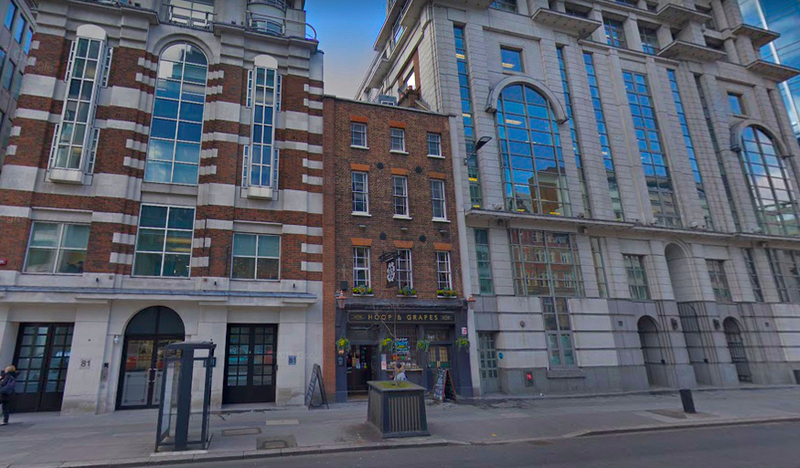 In the early 1990s she crossed the river to Farringdon Street and quickly soaked up stories of the area from her friend Tracy, who ran the nearby Hoop and Grapes. 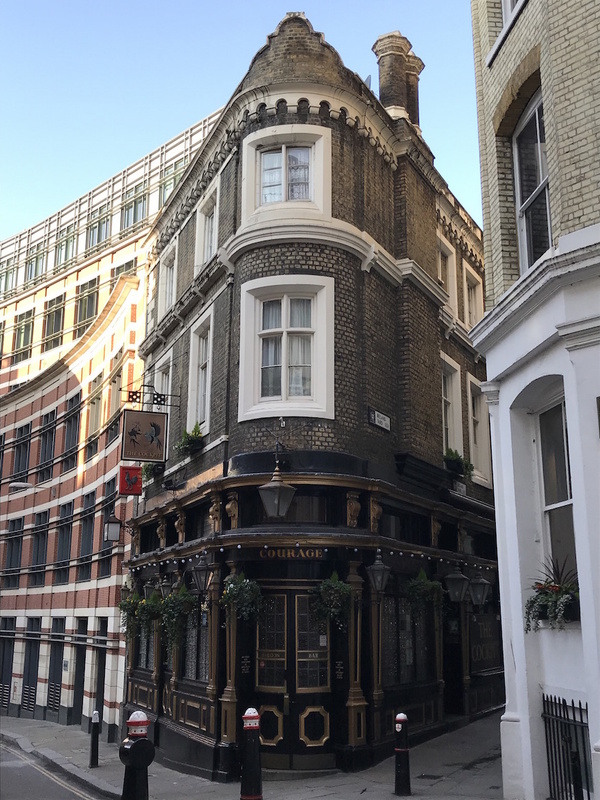 The 'Hoop', built in 1720, was the only building on the west side of lower Farringdon Street to be saved from demolition in the early 1990s. Zoe learned that Farringdon Street follows the route of the now hidden River Fleet. The Hoop was once right on the river’s embankment. But was the Hoop haunted? Tracy told Zoe a story from the restorations of the early 1990s. A new dumbwaiter was needed to keep the plates warm on their journey from the basement kitchen to the top of the building, and an old chimney flue was the obvious candidate. But when they opened it up, they found human remains. Skulls. Bones. It was a long time ago, and we have no way of verifying Tracy’s story, but it’s a good one. 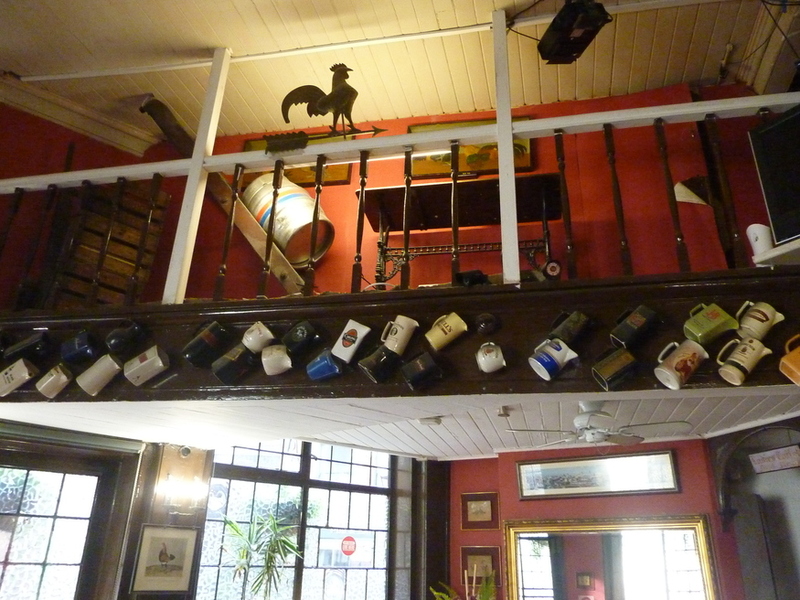 The dumbwaiter still clatters away inside the pub, however. 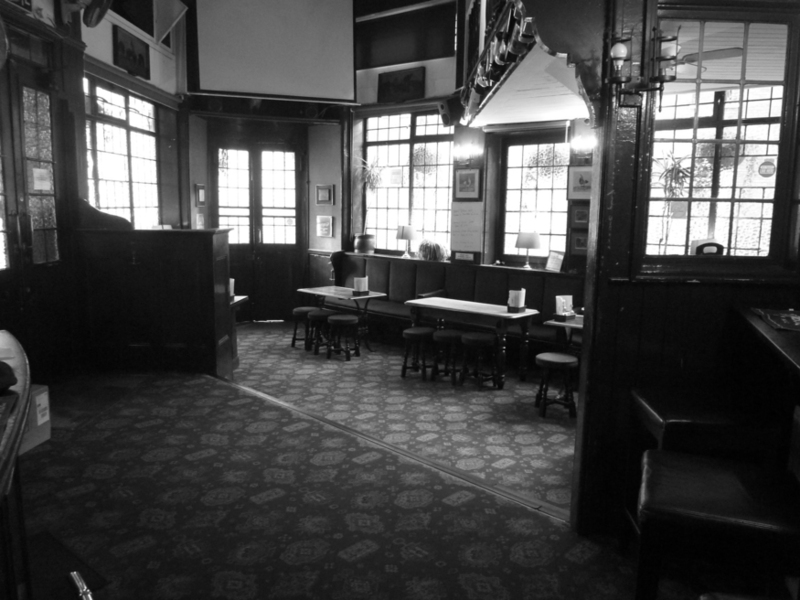 Zoe’s arrival as manager at the Cockpit in the early 2000s was a chance to explore a Victorian building on an even older site. Cockfighting was banned in the 1840s, and so the Victorian pub was at first named the Three Castles. It was only in the 20th century that the older name got revived. The pub was kitted out with an ornamental 'gallery' for cockfighting spectators. It's pastiche, and too small to use. The cellars, however, go down several metres, and may well be older than the 19th century. Places for spooks to hang around? Bumps in the night? Barrels moving about on their own? It was time to enter the cellars. 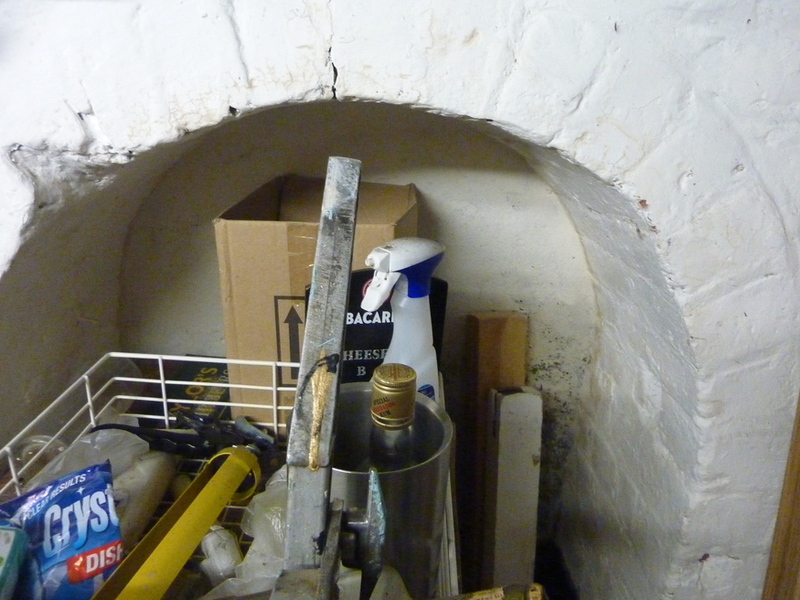 For a fan of real ale, the smell of the Cockpit’s cellars is the stuff of dreams. But underneath that hoppy, malty aroma, lingers another: earth, old stone, perhaps a hint of ship’s timbers. It was more than a smell. It was something you could swim in. It took me by the hand and led me deep into the past: Victorian carts with their horsey smells, and deeper, deeper down to Shakespeare, and the monks that pre-dated him. Legend has it there’s a blocked-up tunnel leading to the church of St Andrew-by-the-Wardrobe, which was once close by the river. Zoe’s colleague Gary thinks there is something untoward down here, but Zoe isn’t so sure. 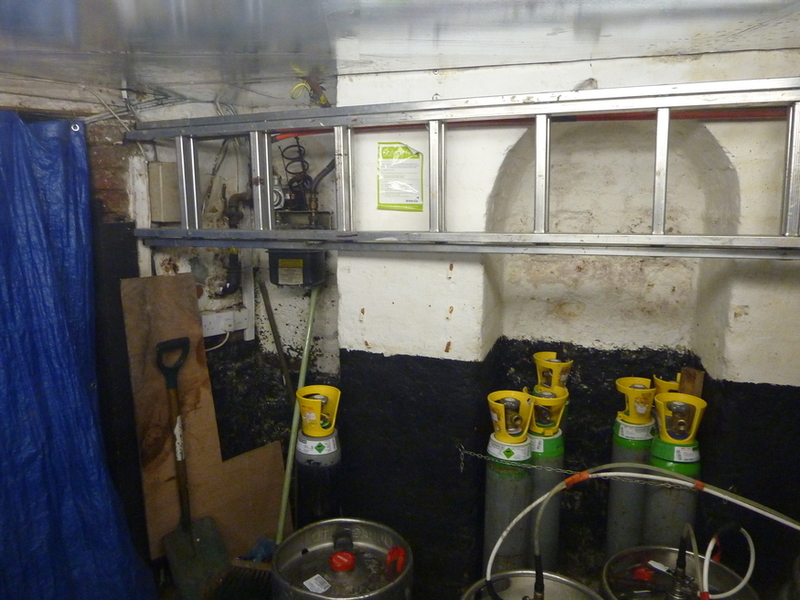 It’s a working cellar, so the lighting is far from atmospheric. At least there’s no risk of misreporting a paranormal occurrence beneath several dazzling fluorescent strip lights. There are a couple of old arches built into the walls. Could one of these lead to the tunnel? One of them looks like brick, and would surely have been used to keep bottles in, so no surprises there. But there’s another, squatter, wider arch, that looks like it may just be made of stone. It flares at the top, as though for a human head to pass. The plot thickens. Gary may be right about the Cockpit having an unexplained visitor. But our psychic landlady’s verdict is clear. “There’s nothing there.” No shivers up the spine. No cold spots. Many of the Cockpit’s regular cast of City slickers, restaurant workers and St Paul’s Cathedral staff will be relieved by this. Some will be disappointed. I personally thought there was more to those cellars than a couple of kegs and a mop bucket. But I’m no expert. They may not be spooked, but they’re definitely one hundred and ten per cent spooky. 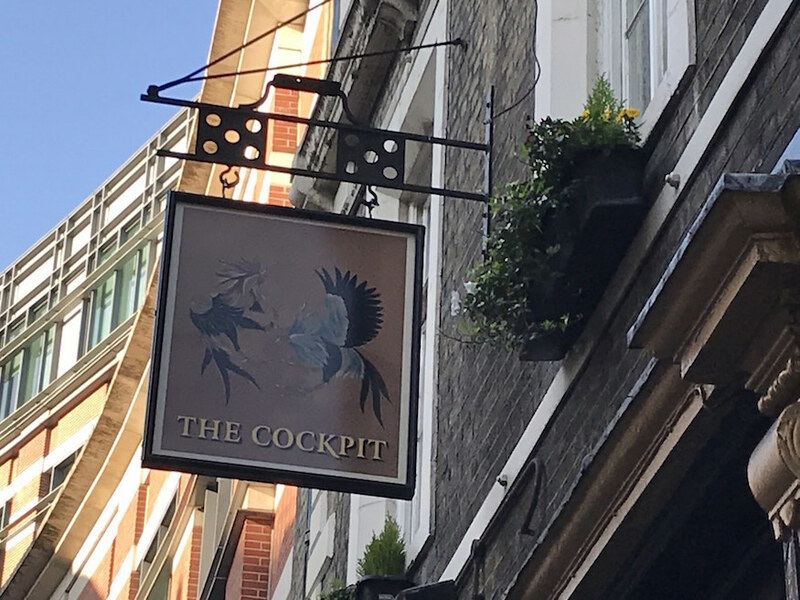 The Cockpit can be found and enjoyed at 7 St Andrew's Hill EC4V 5BY.